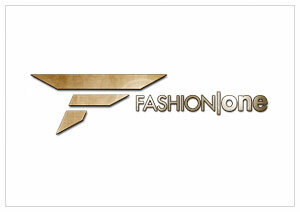 New York, October 22, 2012 – Fashion One LLCannounced the launch of the channel on CNS Channel 315 in Taiwan. The international TV network seeks to amuse female audience with content covering latest in fashion, entertainment, lifestyle news, profiles of A-list celebrities, luxury brands, holiday destinations, and red carpet events. Fashion One LLC will also deliver a strong lineup of original programming of reality shows, documentaries, beauty tips and street styles. "We are excited to be launching Fashion One LLC in Taiwan with CNS. The channel will be broadcasted in HD through a separate feed apart from the rest of the world with Chinese subtitles for the local Chinese speaking audience. This launch supports our drive for continuous growth and marks the start of a new era in the company's operations in Taiwan," said Ashley Jordan, CEO, Fashion One LLC. The channel will debut with a special event on the 4 biggest fashion weeks in New York London, Milan and Paris. Audience can enjoy the glamour showcase of the latest spring/summer 2013 collections featuring famous designers including Dolce & Gabbana, Emporio Armani, Christian Dior, Stella McCartney, Gucci, Prada, Versace, Paul Smith, Vivienne Westwood, Ralph Lauren and Tommy Hilfiger.